As this site is essentially a quick guide to the city of Rio de Janeiro and its surrounding areas, there is no need to go into a lengthy narrative about the historical and political growth of Brazil, these matters being best left to the experts whose accounts you will find in your local library, on the web or, at worst, in the pages of the better encyclopedias and history books. The brief summary of the history and growth of Rio that follows, however, should be of help to you in your enjoyment and appreciation of the city. While it is generally agreed that Pedro Alvares Cabral discovered Brazil, first named Vera Cruz (True Cross), for the King of Portugal, Dom Manuel I, on April 22, 1500, there seems to be some disagreement amongst historians as to exactly when the area, now known as Rio de Janeiro, was discovered. One version credits the discovery of Rio to the navigators Andre Gonçalves and Americo Vespucci. Vespucci, an Italian by birth, was one of the great explorers of his time, undertaking numerous voyages for the King of Spain to discover more about the “new world”. 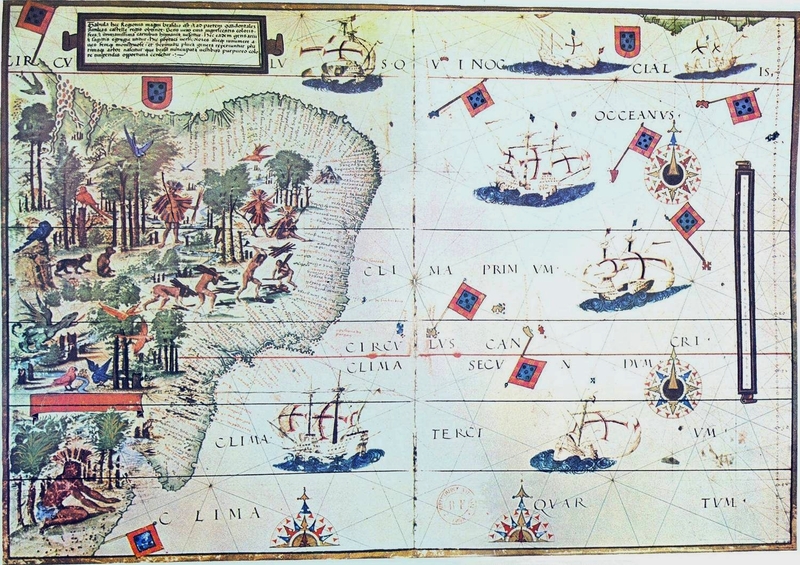 Vespucci first visited what we now know as the Caribbean in 1497, just four years after Christopher Columbus, and it is possible that he landed in the North of Brazil as early as May of 1499. Vespucci’s most important voyage, for the story of Rio, was his third, undertaken at the request and expense of the Portuguese King, Dom Manuel. Sailing from Lisbon on May 13, 1501, the fleet of three ships commanded by Gonzalo Coelho, and navigated by Vespucci, was given the task of inspecting Cabral’s new discovery of Vera Cruz. It took the fleet until the August of 1501 to reach the north coast of Brazil after a long and dangerous crossing. From here on the facts get rather misty with the passing of time. 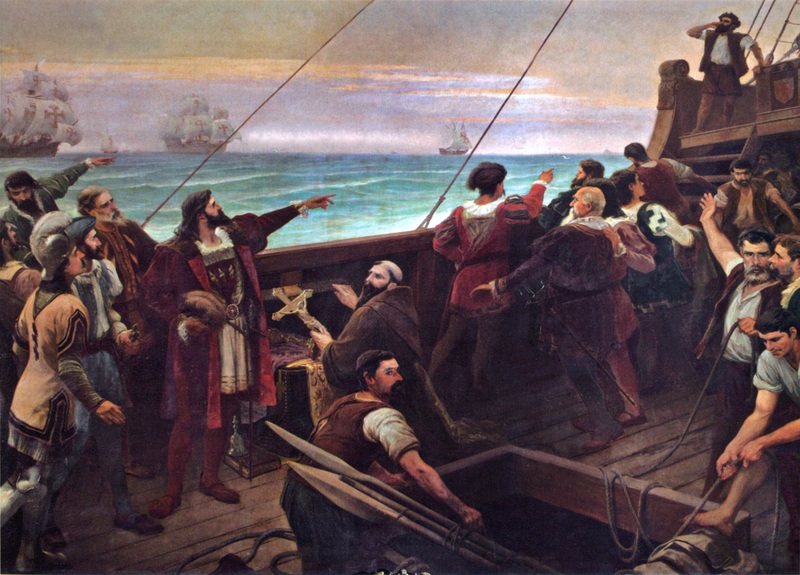 What is known is that Coelho’s fleet made its way down the east coast of South America going far enough south for Vespucci to realize that they were dealing with a new continent and not an extension of Asia, as Columbus had assumed. As the story goes, one of the ships, and perhaps all three, with Gonçalves and Vespucci navigating, stopped off in what is now known as the Bay of Guanabara, on January 1, 1502. Presuming to have discovered the mouth of a great river, the explorers christened the river, River of January, Rio de Janeiro. Ironically, the native Indian name, Guanabara, is somewhat more accurate, meaning “lagoon of the sea”. No attempt was made by the explorers to land at this time, although the records show that the ships returned in 1503 and set up camp for some time at Cabo Frio, slightly east of Rio, and one can only presume that they would have visited the bay again at this time. What would appear to be agreed by all is that the first colonists in Rio were neither Portuguese nor Spanish, nor even Italian, but French. In 1555, history records that 600 men under the command of Admiral Nicolas Durand de Villegaignon disembarked at a little, low lying island to which they gave the name of Coligny. Today, that island is known as Villegaignon and has virtually disappeared to become part of the mainland with the landfill that went to make Santos Dumont Airport in downtown Rio. Villegaignon built a fort on the island and from there began to explore the bay reinforcing his position, in 1557, with the arrival of a further thousand French settlers. The Portuguese Government of the time, offended by the establishment on a French colony on what was, after all, Portuguese soil, ordered the Governor General of Brazil, Mem de Sá, then resident in Bahia, to expel them. Mem de Sá’s fleet entered the harbor of Rio on February 21, 1560, and in just two days had taken control of the settlement. His job done, Mem de Sá returned to Bahia but without taking the precaution of establishing his own garrison. With Mem de Sá’s departure, the French returned, this time to set up camp on the mainland close to what is now Catete. Securing their position at the base of Morro de Castelo, the Portuguese settlers slowly began to reclaim the marshy land that lay between them and the Morro de São Bento where, in 1589, the Benedictine monks would start work on the construction of their church and monastery which stands relatively unaltered till today. The growth of Rio was slow. By 1648, the city consisted of just three roads, the main one of which is now Rua da Misericordia. The turning point in the development of Rio was to come in the 1690s when gold was discovered in the neighbouring state of Minas Gerais (General Mines). As one of the nearest seaports to the gold fields, Rio became the logical point for the Portuguese to base their taxing and control operations. News of the gold spread, however, and in 1710 the Portuguese settlers found themselves under siege from the French. The 12,000 inhabitants of Rio stood firm and repelled the 1,000 strong French force under the command of Jean François Duclerc. The following year, 1711, Rio was not so lucky. With a fleet of 18 ships and over 5,000 troops, the French, under Rene Duguay–Trouin, tried again. Entering the harbor on September 12 and forcing their way in to the city, the French force sacked Rio and left the city almost totally destroyed. After a heavy ransom had been paid, the French departed. Little is recorded as to what happened between 1711 and 1763 except that during that time the population of Rio swelled to over 30,000. 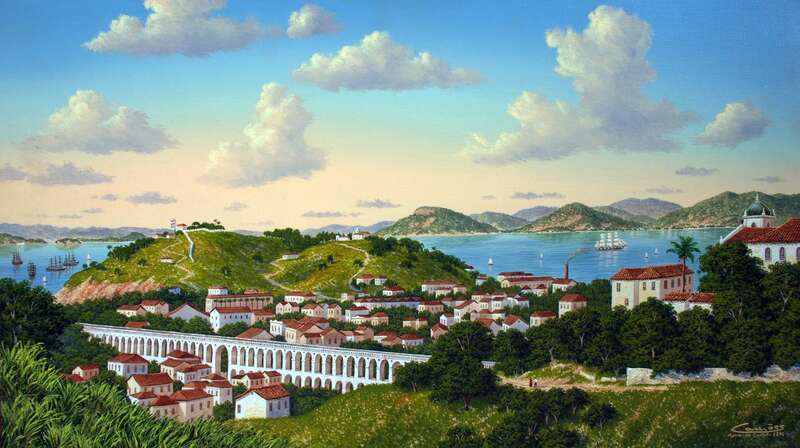 To cope with the demands and needs of the growing population work began, in 1724, on the Aqueduto da Carioca (Carioca Aqueduct), or simply the Arcos as it is known today. The Arcos was built to bring fresh water down from the forest of Santa Teresa to the public fountain in what is now the Largo da Carioca. Today, and since 1896, those same arches have served as the base for a viaduct that links the bondinhos (little street cars) from the hill of Santo Antonio to that of Santa Teresa. 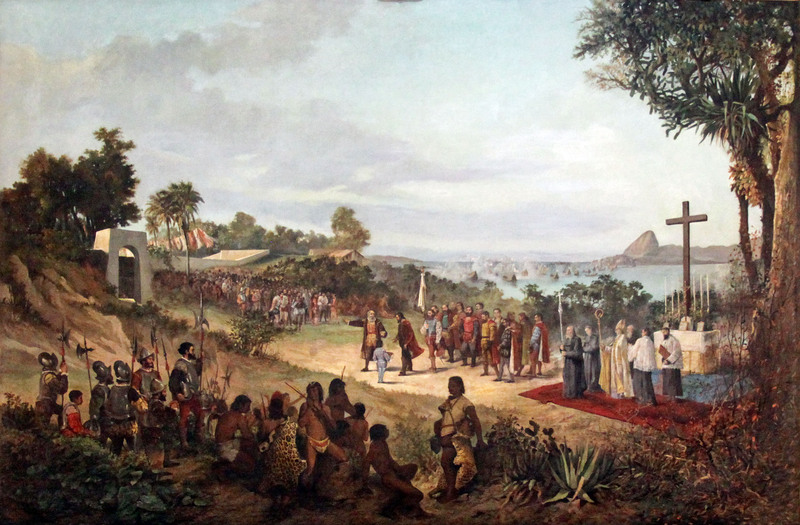 As Rio outgrew Bahia it was given the honour, in 1763, of being named as the capital of the Vice–Royalty of Brazil while the wealth attracted to Rio by the continuing gold–rush brought with it the first trappings of European civilization. The most important streets were paved, marshy areas were drained to form the Largo da Carioca and the city’s largest lagoon was filled to create Rio’s first park, the Passeio Público. Rio now started to snake its way southward to Gloria, Catete, Laranjeiras and Botafogo, and northward and inland to Estácio, Tijuca and São Cristóvão. The city now comprised forty-six streets and nineteen squares. As the 19th century dawned, events were taking place back in Europe, rather than Brazil, that were going to turn Rio de Janeiro into one of South America’s great cities, arguably its greatest. Napoleon was on the move and in November 1807 Dom João, the Portuguese Prince Regent, found himself forced to abandon Portugal to the invading French forces and sailed on 29 November to the relative safety of his colony, Brazil. Had he not, Brazil would probably have gone the way of all of Spanish dominated South America and become a republic in the first quarter of the 19th century. 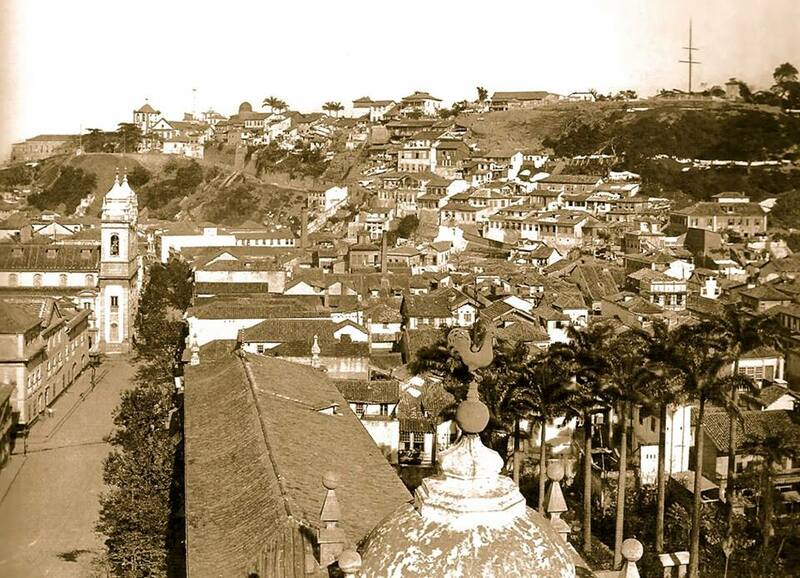 As it was, the monarchy would reign until 1889 and leave Rio with its respectable antiquity intact. João VI, as he was to become in 1816, arrived in Rio on March 7, 1808 after a short stop over in Salvador. He and his court landed at what is now Praça Quinze de Novembro (Praça XV). The Prince Regent brought with him an entourage of some 15,000 Portuguese nobles and Rio became the capital of the Portuguese Empire and therefore, in theory, a European nation was ruled from an American nation for the first and only time. The effect on Brazil of the arrival of virtually the entire Portuguese court can be seen in the rapid developments that took place between April and November 1808. In an eight-month period João created the Supreme Military Court, the Law Courts, the Naval Academy, the Gunpowder Factory, the Commercial Tribunals, the School of Medicine and Surgery, the Royal Printing Works, the first Brazilian newspaper, the Botanical Gardens, and the Bank of Brazil. The ports of Brazil were opened to world trade and the economic boom in Rio, started by the gold trade, continued. On December 16, 1815, João elevated Brazil to the status of “Kingdom”, which constitutionally put it on an equal footing, within the Empire, with Portugal. Unfortunately for the King, this irritated the Portuguese ruling families while doing little to appease those Brazilians who favored full independence from Portugal. João’s time in Rio was crucial to the growth of the city and in his thirteen years in residence the city was transformed from an unimportant and “fairly detestable little town” into an outpost of European civilization that was the capital of the newly created kingdom of Brazil that formed part of the United Kingdom of Portugal, Brazil and the Algarve. With the defeat of Napoleon in 1814 by the British under the Duke of Wellington at Waterloo, pressure began to mount on João to return to Portugal or risk losing the “mother” country itself. In March 1816, upon the death of his mother, Queen Maria, he succeeded to the joint throne as João VI. As the revolutionary and republican climate in Europe spread, João came to the conclusion that he could stall no longer and submitted to the demands of his court to return to Portugal. On April 18, 1821, João, along with 3,000 members of the Portuguese court, set sail for Lisbon leaving behind João’s son, Pedro (born: October 12, 1798) as the Prince Regent with instructions for him to declare Brazil an independent nation if the independence movement continued. 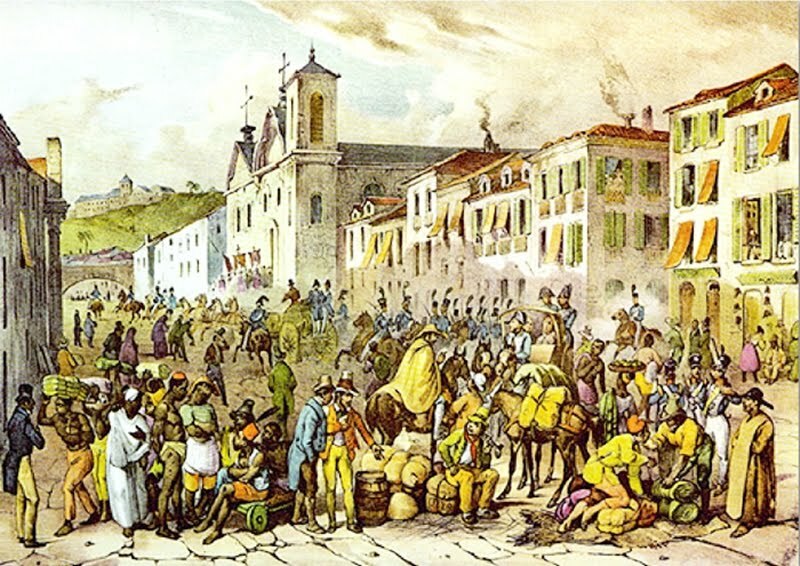 In the 13 years of João’s “Brazilian” reign, Rio had seen its population grow from 30,000 in 1808 to what the official census recorded as 112,695 inhabitants in 1821. Pedro’s defiant gesture, made during a visit to São Paulo, was in response to yet another demand from the Portuguese court that he return to Portugal along with the threat that Brazil would lose its status as a co–Kingdom, being relegated again to the role of a colony. Upon his return to Rio from São Paulo on October 12, 1822, Pedro was declared Emperor and Perpetual Defender of Brazil. His coronation took place on December 1, 1822, in what is now the old Metropolitan Cathedral located on Avenida Primeiro de Março in Praça XV. Tired of the give and take of politics, Pedro, now Pedro I, dissolved the constituent assembly on March 24, 1824, and imposed his own constitution on the newly emerging independent Brazil. Pedro’s charter, with some minor changes, would serve as Brazil’s constitution until the constitution of the Republic was promulgated in 1881. Pedro, however, persisted in his autocratic ways, favored the interests of his Portuguese advisers and their compatriots in the merchant classes and continued, despite his proclamations of independence, to dabble in the politics of Europe. 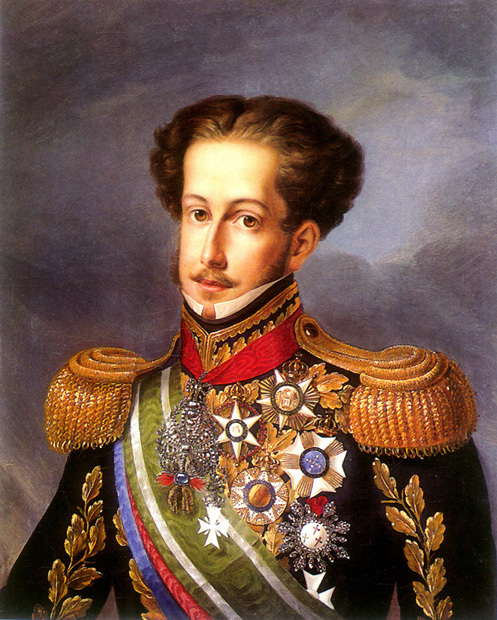 Pedro’s “dabbling” intensified with the death of his father in 1826 after which Pedro could probably have had the Portuguese crown if he had chosen to return immediately to Portugal. Instead he abdicated from the Portuguese throne in favor of his daughter, Maria da Gloria, then seven, with his younger brother, Miguel to act as Regent until Maria came of age. In the end, it took a civil war between Pedro and Miguel before Maria was crowned Maria II in 1834. The resentment of the native Brazilian elite to Pedro reached a head in 1831 and Pedro was forced to abdicate on April 7 and sail for Portugal. Pedro left behind his six year–old Brazilian son, also called Pedro, in the hands of Brazilian tutors with the understanding that when he came of age he would take his rightful place as Emperor. What followed for Brazil was a ten-year Regency, during which time the executive power was exercised by a sequence of triumvirate councils, and eventually by a single individual. It was a period of considerable political strife in Brazil, with revolts against the national government breaking out in virtually every region of the vast and sparsely settled nation. The clique running Brazil’s central government eventually decided that the country could wait no longer for Pedro to reach the constitutional age of adulthood and on July 23, 1840, some months before his 15th birthday, they proclaimed Pedro’s “majority”. 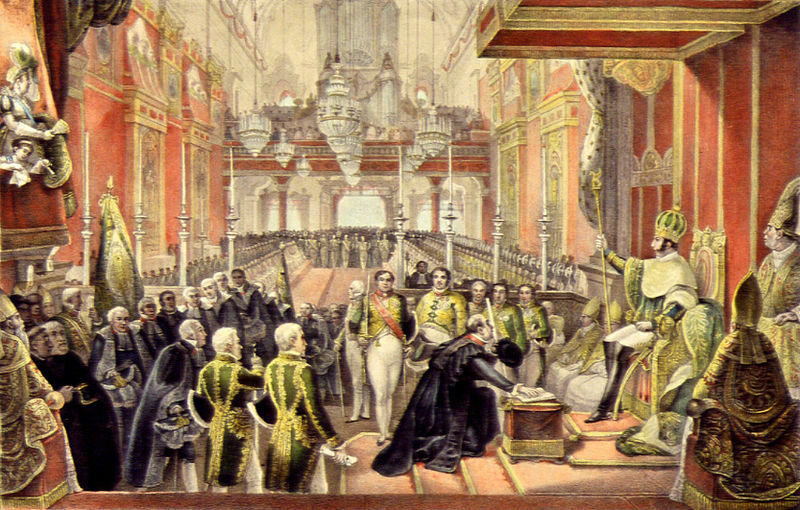 Pedro II’s reign began officially with his coronation in Rio on July 18, 1841. The new Emperor showed at an early age that he was of a totally different character to his father. He was a Brazilian, and Brazilian born; he was also judged to be scholarly and tolerant. The long reign of Pedro II was to see a further increase in the importance of Rio as the nation’s capital. 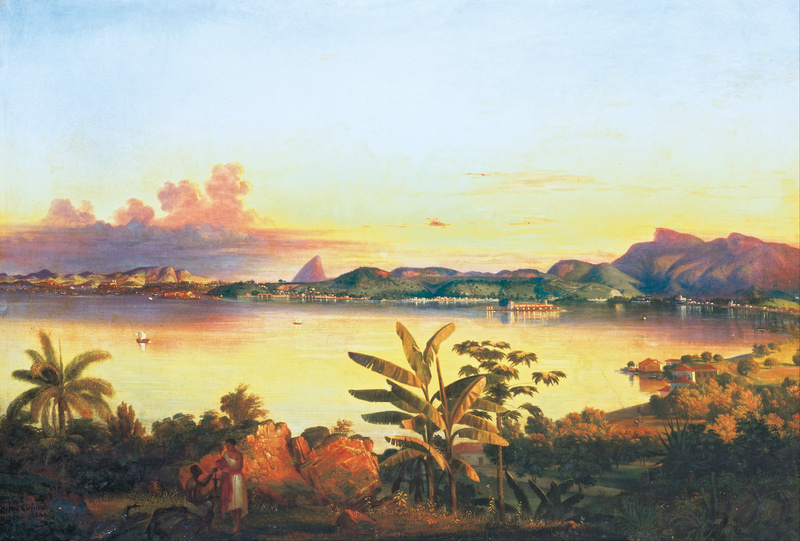 As Pedro’s administration turned to the problems of the country so Rio looked at its own troubles which, in 1849, included the first major outbreak of yellow fever, an event that would, for a time, destroy Rio’s reputation as a health resort and tourist center. In fact, Pedro himself led the exodus in the summer months to the cooler and healthier climate of nearby Petrópolis. 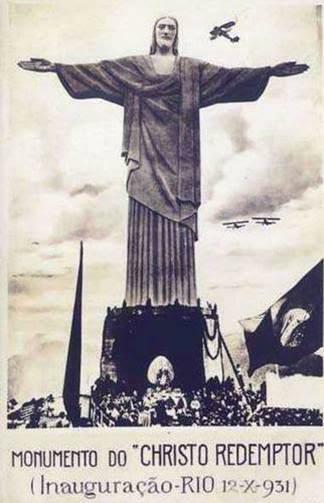 Yet progress in Rio was rapid. Reforestation programs were introduced to recover the Tijuca Forest. In 1851 steam navigation was introduced between Rio and Europe; the city was lit by gas in 1854; the first railway opened in 1858 and the first tramway in 1868; and, in 1874, the resident Carioca community was in direct contact with Europe for the first time thanks to the trans–Atlantic telegraph which linked “Posto 6” in Copacabana with Britain. In 1876 Pedro, by then a renowned traveler, made a historic journey to the US where he covered 10,000 miles in three months in the process meeting up with Alexander Graham Bell at an exhibition in Philadelphia. Bell presented the Emperor with one of the first working models of the telephone that, when installed between Rio and Petrópolis, became the first telephone line in the world outside the US. One of the phones can still be seen today in the Royal Palace in Petrópolis. Although Pedro was still only in his fifties, the country began to seriously consider who his successor would be. By right of accession the crown would go to Pedro’s oldest daughter, Isabel. But Isabel was married to a Frenchman, the Count d’Eu, and as Pedro grew older so the Brazilian population feared the possibility of a Frenchman having a major say in the running and ruling of Brazil. In the end it would be another of Pedro’s lengthy overseas journeys that would bring his downfall and that of the monarchy in Brazil. In 1888, while Pedro was in Europe for treatment for diabetes, Isabel, who was acting Regent, decided to tackle the problem of slaves, an issue that had been a thorny political problem dating back to 1815. 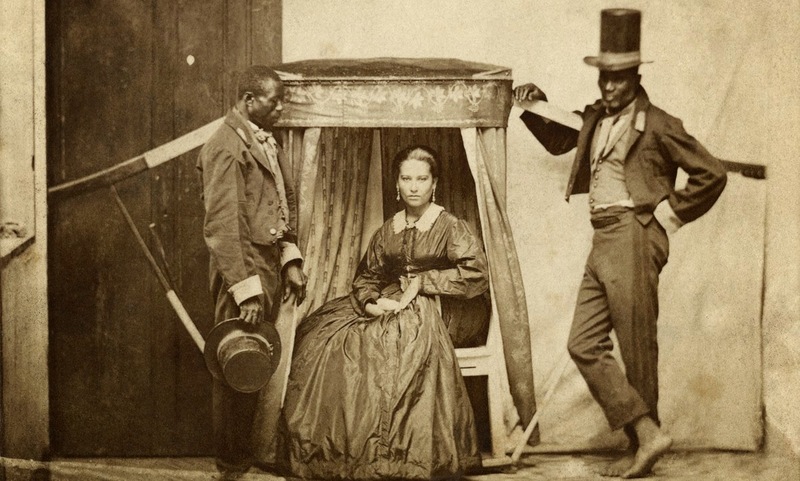 On May 13, 1888, Isabel took it upon herself to sign a Parliamentary decree, the “Lei Aurea”, which emancipated slaves, yet – crucially – did not grant compensation to their owners. Isabel’s action wiped out the Emperor’s principal source of support. The price of freedom of the millions of African slaves brought to Brazil over the years was the almost immediate overthrow of the Empire and the declaration of the Republican form of government. 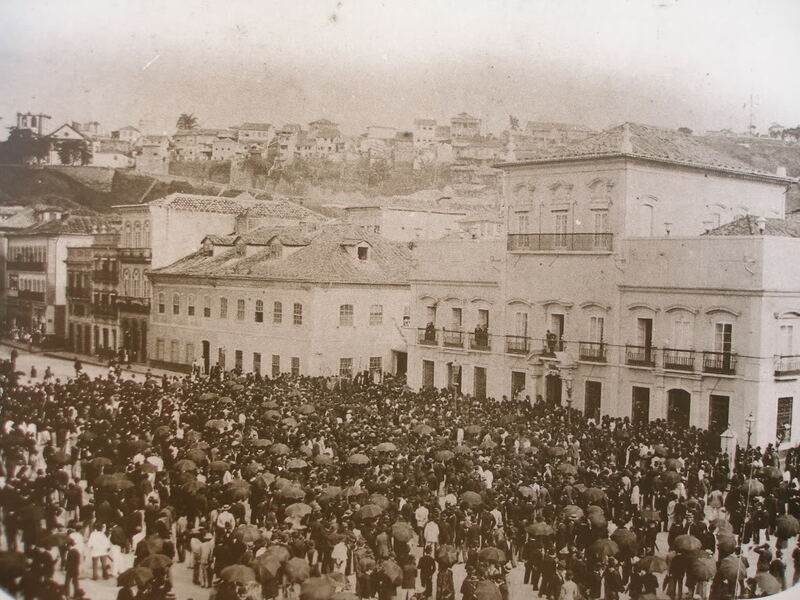 On November 15, 1889, while Pedro was in Petrópolis, the leaders of the republican conspiracy met in Campo de Santana (Praça da República). There, Deodoro da Fonseca declared himself to be the interim leader of the new Republic of Brazil. Within 24 hours of Fonseca’s declaration, the monarchy had collapsed and within 48–hours Pedro II and the entire Brazilian Royal Family had been shipped bag and baggage out of Brazil to exile in Europe where Pedro died in 1891. 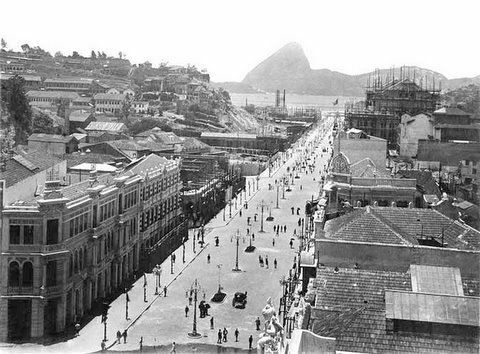 From the turn of the 20th Century, Rio, now the capital of the Republic, started to take on the shape we know today. A tunnel, cut in 1892, opened the way through to Copacabana and another, in 1904, did the same for Leme. But the most radical improvements were still taking place in downtown Rio. On March 8, 1904, work began on demolishing 590 buildings that would make way for a new central avenue. 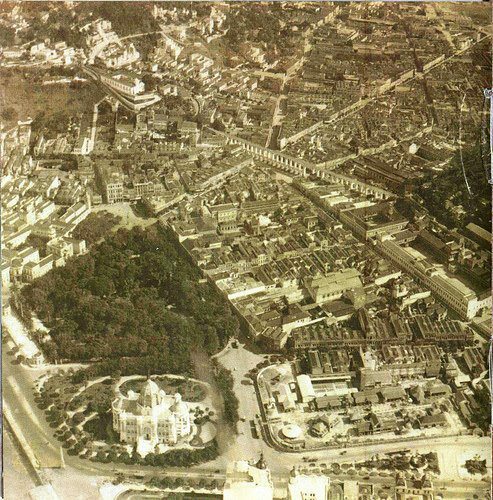 Six months later Rio had Avenida Rio Branco – so named in 1912 – which was to become the Champs Elysées of Brazil. One and a half miles long, Rio Branco became the focal point of the city with outdoor cafes lining its elegant pavements. Rio Branco was the Ipanema of its day and people came to see and to be seen. 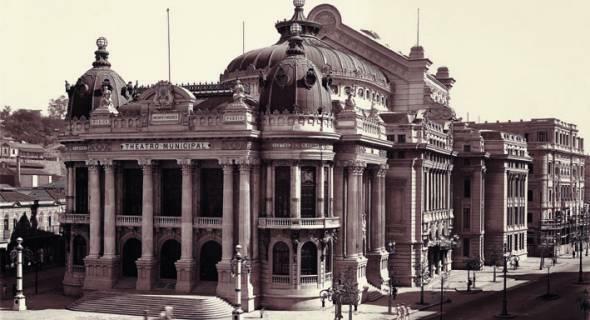 In 1905 work began on Rio’s magnificent Municipal Theater and opera house. Built from various marbles it was modeled on the Paris Opera and at a cost of over two million pounds sterling, it was Rio’s most luxurious and extravagantly constructed building. It was also the most expensive. The other major project of the time was the building of Avenida Beira–Mar, then a bay–side drive, which stretched from the city center all the way to the distant and sparsely populated area of Praia Vermelha where, as of January 19, 1913, it was possible to take the cable car to the top of Sugar Loaf. Rio also began to control its health problems, thanks in large part to the eminent Dr. Oswaldo Cruz who, by 1906, had managed to restrict deaths by yellow fever and smallpox in Rio to less than 60. Three further projects in the middle of the century helped shape Rio as we know it today and all concerned the reclaiming of land from the sea. The first project, in the 1940s, included the removal of a hill in downtown Rio, the earth of which was poured in to the bay to make what is now Santos Dumont Airport, inaugurated in 1944. The second scheme, and on a much larger scale, required earth and mud dragged from the harbor as well as the earth brought from the hill of Santo Antonio, where the city’s new Cathedral now stands. The result was the Flamengo Park which not only gave the city a huge new leisure area, the largest urban park in the world, but perhaps what is more important, two new expressways which have helped relieve the congestion of traffic coming in to town from the new residential areas. 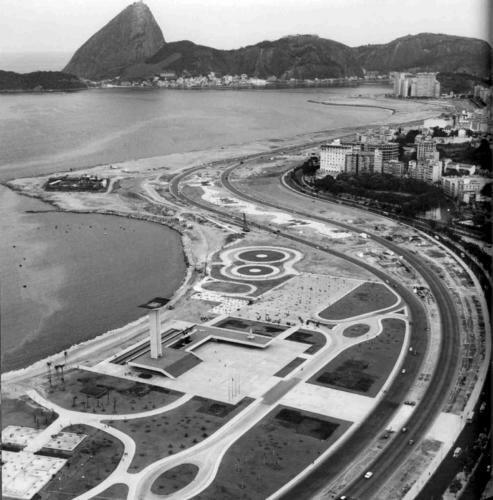 Flamengo, Brazil’s largest ever landscaping project, was concluded in 1960. The century’s final landfill concerned the beach at Copacabana and helped transform a narrow beach, with one lane of traffic in each direction, in to what we see today, one of the most impressive beaches in the world which is backed by a six lane highway, cycle track, and the wide sidewalks which are famous the world over for their intricate mosaic designs. The final chapter in Rio’s political past was closed on April 21, 1960, with the dedication of Brasilia as the new capital of the Republic of Brazil. By then Rio’s population numbered over four and a half million. Rio does not seem to mind that it is no longer the political capital of Brazil as it is not essentially a political city, preferring, instead, to vote in opposition to the Federal Government. Rio today better fits its mantle as the nation’s capital of culture and tourism, and as the world capital of ecology, for which it should be guaranteed a glorious future. 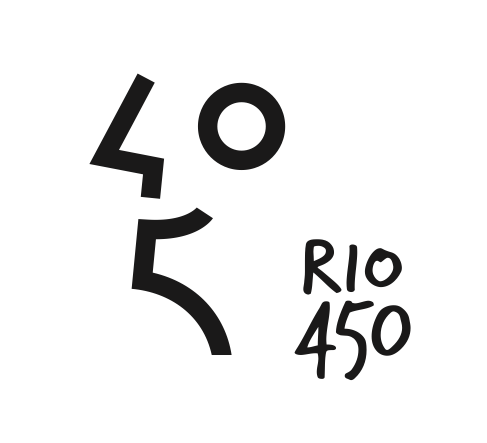 Rio can also claim to being one of the undisputed cities of sport, being part of a very select group to host the World Cup finals (twice) and the Olympic and Paralympic games. 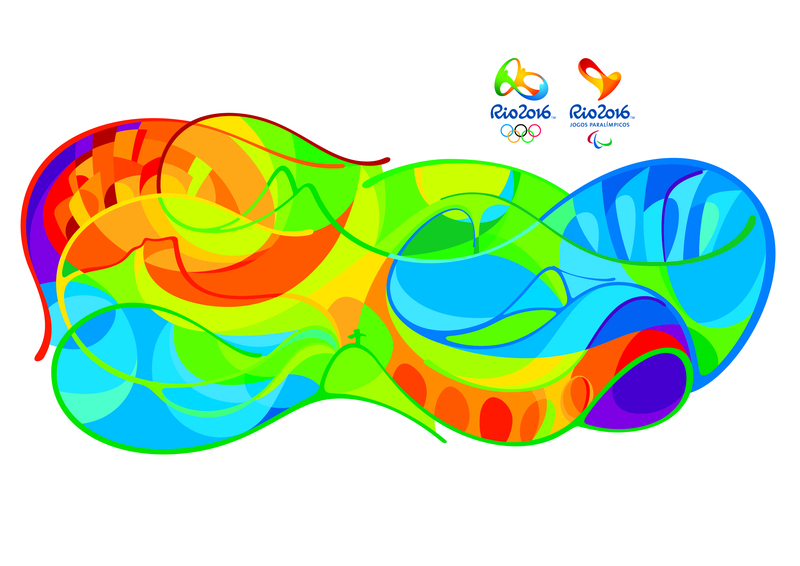 During those events billions from around the world got to see a brief glimpse of Rio and Brazil and what they have to offer.